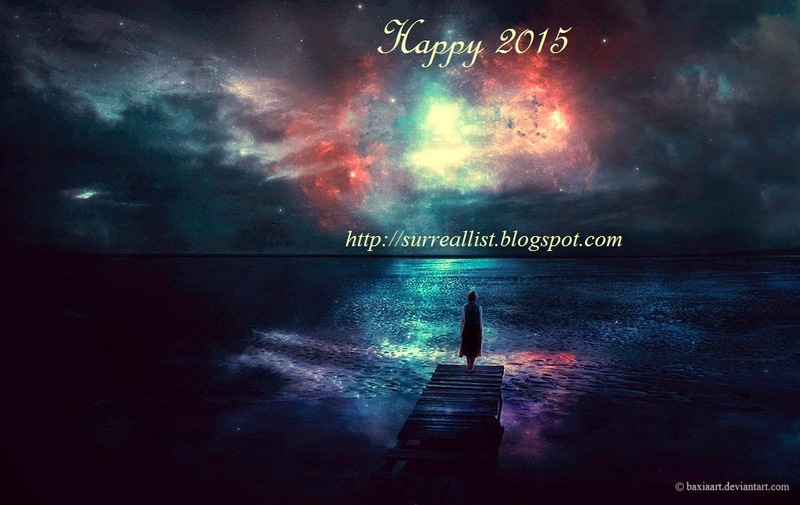 A new year, 2015, ascends upon us as 2014 takes a final bow and becomes a thing of the past. Quantum physicists may smirk at our ignorance, citing how time is but an illusion, a figment of our imagination, and that the past, present and future all exist simultaneously. We mere mortals remain blissfully ignorant, devoting our lives to the mercy of the clock diligently ticking away in a corner of our room, our homes, our offices, our wrists and even our phones. Each moment is new and yet we wait until the Gregorian calender notifies us that a new year is about to start. Suddenly our dreams are rekindled into a bright flame, set ablaze by hope that this year may be the one when they finally come true. We all get caught into the crowd excitement of making new year resolutions. I am one of those mere mortals who get caught up by the excitement of the new year, though it has been a few years since I have made any new year resolutions. I enjoy hearing about new year resolutions from friends and family. If our lives our governed by the clock, and it provides a moment for humanity as a whole to celebrate, how can one just stand by and let that moment slip? Add that to the fact that I think fireworks are the most beautiful and magical experience human beings can savor, I love to stare at the clock as it strikes 12am and signals the world to ignite the sky with fiery magic. 1) Call someone who has no friends, just to say hello, letting the person know that you do not need anything specific from him/her. Have coffee with lonely people twice a month. 2) Do not read more than one new book a week –if needed re-read (and read no book you wouldn’t reread). Walk 2 hours every day regardless of weather. 3) Fast one day every week on average. Eat meat only on festivals, but then splurge. 4) Respect the janitor more than the chairman and respect those who respect the janitor more than the chairman. 5) Do not read the latest "breakthrough" experiment in psychology about, say, the effect of taking cold showers on grammatical ability. Better even read nothing about these "experiments". 6) Give to someone who needs money but doesn’t ask for it while finding an excuse to preserve his/her dignity. 7) Use courage and wisdom, not labor, for your income. 8) In the end realize that you are only as valuable as the risks you are taking for the sake of others. Some of the above eight points written by Nassim Nicholas Taleb seem difficult to adopt but if followed, would definitely make 2015 a better year for humanity. I wish you a very happy 2015. God bless.